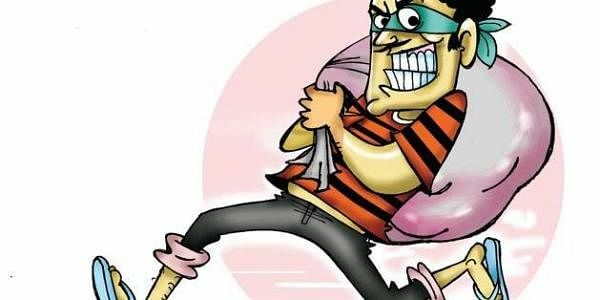 A gang of four men threatened an elderly businessman and robbed him of `3 lakh in cash and other belongings at Vijaynagar on Saturday night. BENGALURU: A gang of four men threatened an elderly businessman and robbed him of `3 lakh in cash and other belongings at Vijaynagar on Saturday night. Police said that Kedarnath, a resident of RPC Layout, owns a honey godown in Amarajyothi Nagar. The incident took place around 9.30 pm when Kedarnath was returning home on his two-wheeler after closing the gowdon. While he was passing through RPC Layout service road, four men who came on two bikes stopped him and threatened him with sharp weapons. They snatched his bag containing `3 lakh and the godown keys before fleeing the scene. Soon after the incident, Kedharnath managed to call his family members who reached the spot and took him to Vijaynagar police station and filed a case. According to police, CCTV footage of the incident has been obtained and they have identified both the vehicles. Preliminary investigations revealed that known people are behind the robbery and efforts are on to nab the accused.